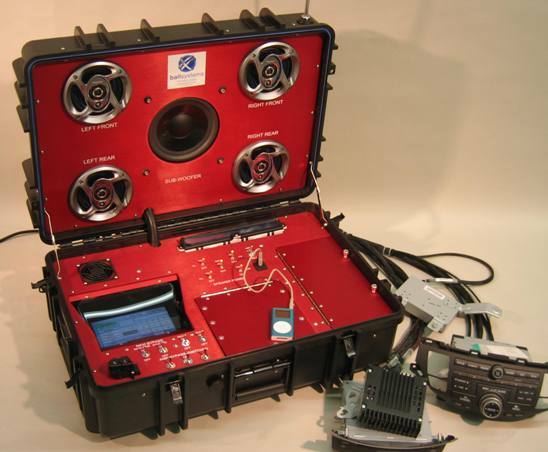 Portable system designed for quality engineers to visit customer facilities, and to assist in quality audits, lot checks, field failure analysis, etc. System supports up to 3 families of audio “head units”, and also associated sub-systems, including CD players, DVD, Navigation, XM Tuner, Premium Amplifiers, etc. Full, turn-key electrical and mechanical design and fabrication.